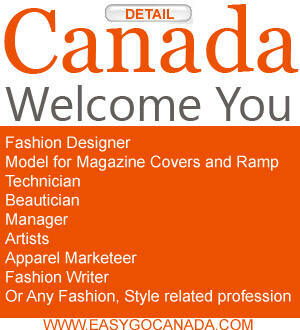 If going to begin your career in Fashion industry, you carefully read these tips and guidelines. If you start working in a company as a staff you may have a chance to work in a team. This way you will be able to create your own ideas from others creations. So do not loose this learning opportunity. If you are going to start your own business, you will be able to earn a big money through hiring freelancers on project basis from artist agencies and consultation firms. Another way of making money in fashion designing industry is through teaching. If you have a vast experience of the profession you can receive salary from the institute and professional fee as well. Another smart idea is to earn money through licensing fee of your intellectual property right. You can franchise your label or sale your designs right or even your brand name. Revlon’s Creative Department is looking for a smart, savvy and passionate Senior Graphic Designer. If you thrive in a fast-paced environment and you are interested in gaining exciting and valuable experience in design, branding and creative services, please submit your application and resume. As a Senior Graphic Designer with Revlon, you will report to the Design Director, and will have a chance to work on projects for our Consumer and Professional Brands, as well as provide support for cross-functional and executive teams. Our Retail Merchandisers maximize sales by maintaining space, location, inventory and distribution at the retail level for the Revlon/Almay brands according to account specific plan-o-grams and directives. This position is seasonal work and hours are based on project specifics. It does not involve evenings, overnights, or weekends. Merchandisers must have access to a PC computer and use Internet Explorer for internet access for reporting purposes. IPads, IPhones, tablets, smart phones and android devices are not compatible with our systems.